We're not all made of money. 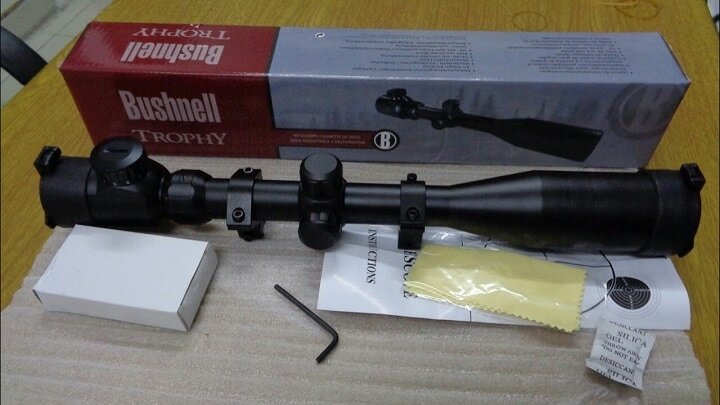 Rifle scopes come in all grades and price ranges. 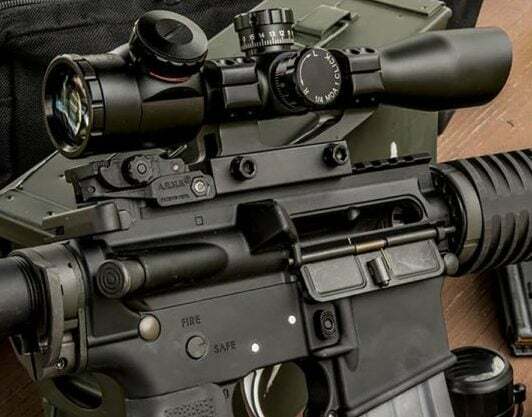 We are going to explore some best AR 15 scopes that fit the AR 15 rifle and sell for under $100. Even though the price is low, don't underestimate the value of these rifle scopes. At times, a high-quality scope can surprise buyers with its price. What I will not do in this review is try to sell you the idea that a low-budget scope is going to meet all your shooting needs. Simply, it won't. However, at times the budget scope will meet some requirements just fine. 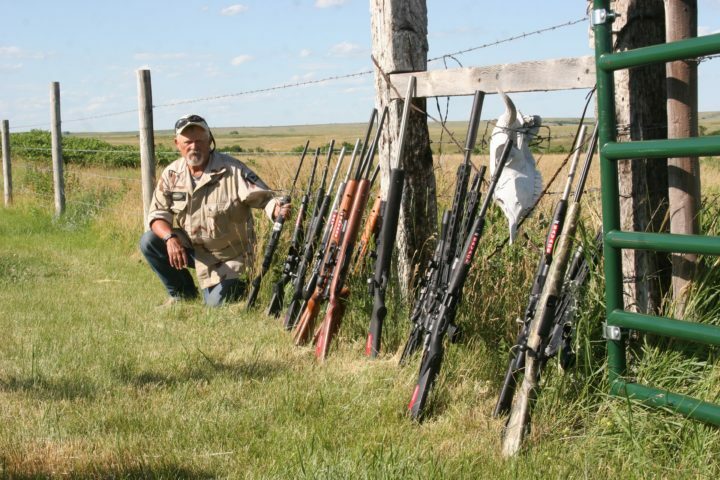 Training youth on low-level hunting rifles is one example. Specialized shooting situations bring in other examples of lightweight glass doing heavy duty work. 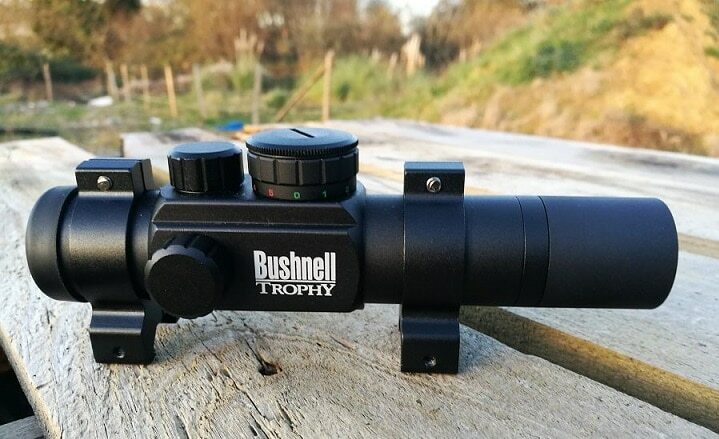 The first budget-priced rifle glass system is the Bushnell trophy scope. This scope measures 15.2 x 8.8 x 3 inches with a weight of 1.1 lbs. 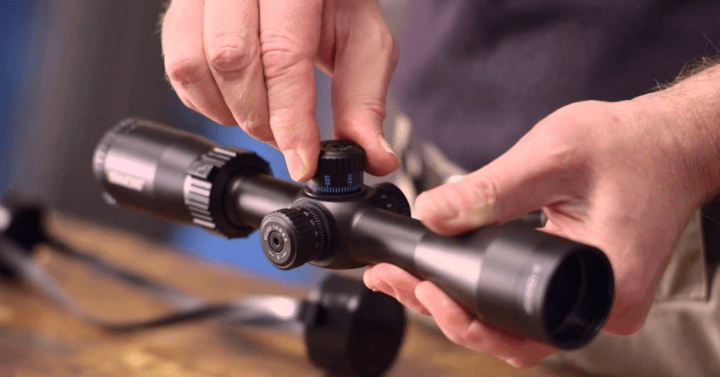 This scope is versatile as applied to light rifles, shotguns, and rimfire rifles. In the AR-15 department, it would serve well as a starter scope. This is a 3 x 9 x 40 variable 1-inch tube scope that gives the scope some flexible applications. The glass quality in this scope is good. For its modest price, it provides solid value. The scope will take recoil and is built like a Russian tank. It is not fancy, but effective. 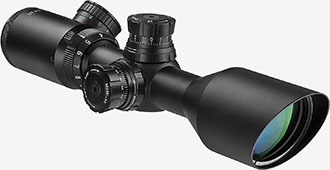 The scope features a hard coated exterior and one-piece housing tube. Turret adjustments are ¼ moa clicks and tend to hold zero well. What is there not to like about this budget-rated glass sight? 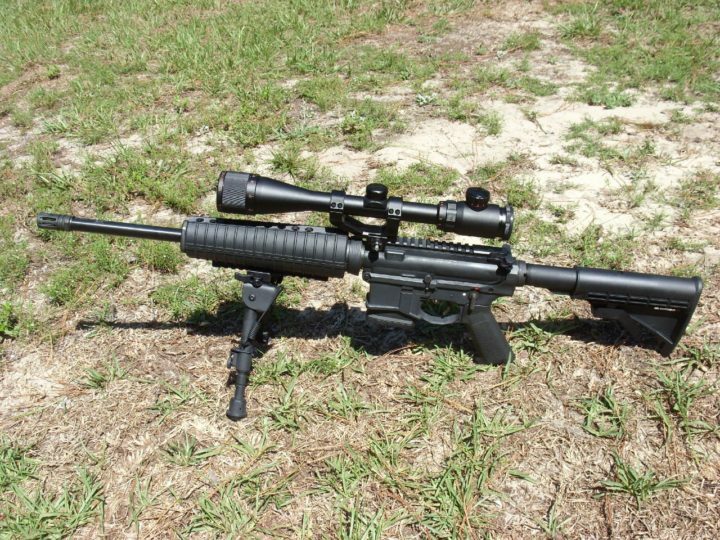 With a 4-inch eye relief, the scope handles recoil against the shooter. 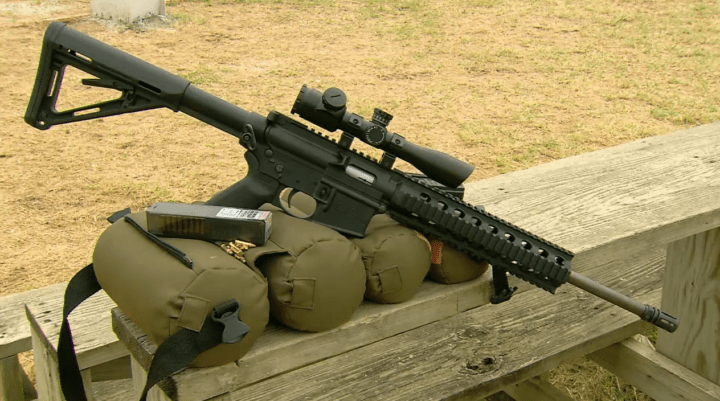 Some recent AR-15 cartridges send a bit of recoil into the shooter. However, most of them are usually free of this issue. 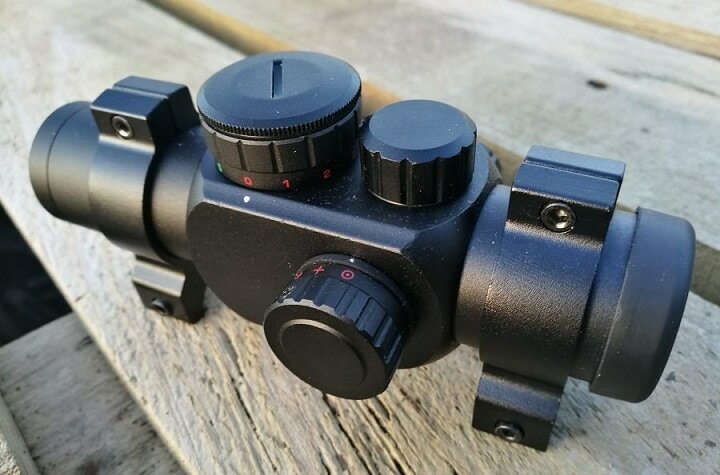 This scope uses sealed turret caps for general field use and carries a very surprising level of usability on the range or in the field. The price of Bushnell Trophy varies, so check the latest price at Amazon. 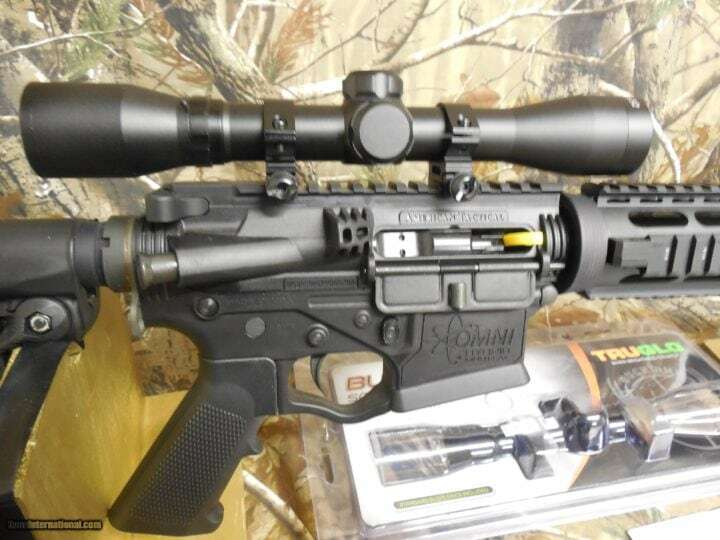 In the subcompact sight department again applied to the AR-15, we cross paths with the Bushnell Trophy TRS-25 Red Dot. With a 25mm overall sizing at the objective, the TRS-25 is 100 percent waterproof, fogproof, and shock resistant. Nitrogen filled, the main tube assures a watertight functional seal. This is a full-range red dot system in a smaller housing that fits well with a standard AR-15 flat top platform. 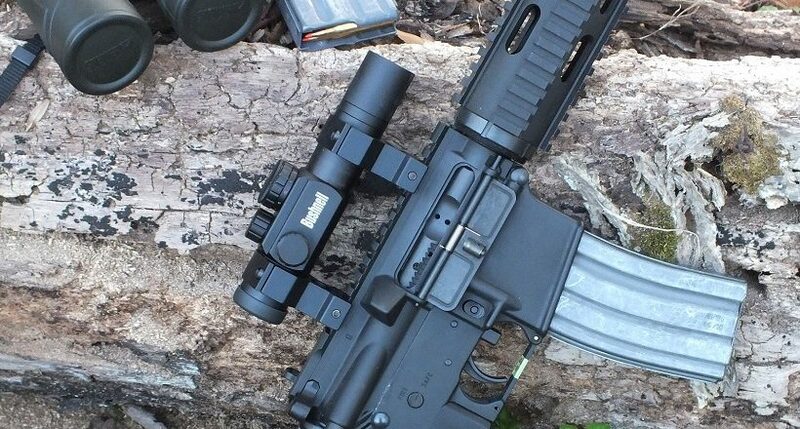 I have used the Bushnell Red Dot series optics on a number of weapons for over 20 years and have not experienced failure on any of the systems. The sight uses a sharp red dot that is controlled by one knob to adjust the dot's brightness. Red Dots in their basic form (non-military) are simple rifle scopes. The shooter can get by with a small investment. Shooters rate this sight five stars out of five across the board. Again, using this brand myself over the years, I agree with these findings. The price of Bushnell Trophy TRS-25 Red-Dot Sight varies, so check the latest price at Amazon. 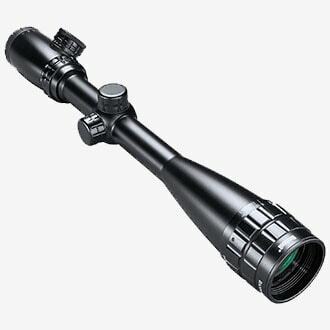 The Bushnell Banner 4-16x40mm features a one-piece tube construction system and is a tough scope. 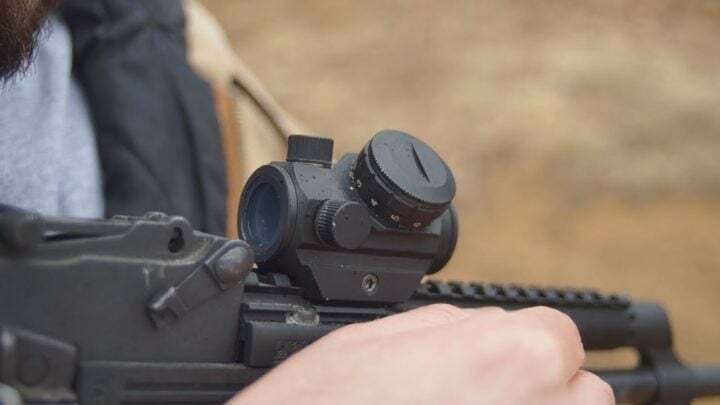 The scope is offered with a lighted reticle with variable intensity so you can work in bright or low light conditions on the range or in the field. Bushnell suggests the 'Dusk to Dawn' series for effectively controlled reticle lighting. 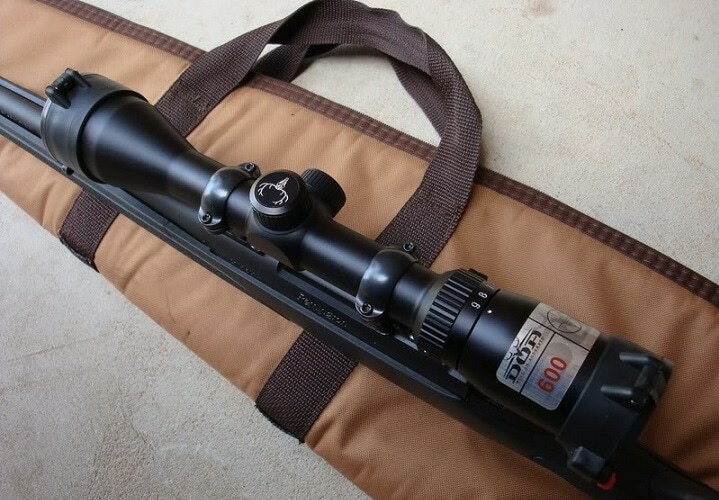 Mounting an MZ 200 reticle with a 100-yard zero, this scope becomes a very effective hunting system. The scope is dead on effective to 500 yards according to the manufacturer. Since my business (testing firearms and ammunition commercially) involves a high volume of weapons, I have turned to these budget-rated market value sights because of their value, performance, and strength. 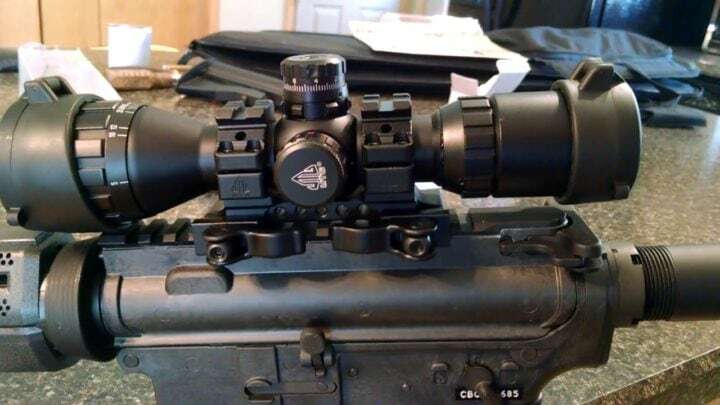 Again, built like a tank in some ways, these optics take a real kicking and can come up as good as new. This past year alone, I have built or taken in no fewer than seven AR's for test and review. All of them required glass sights of one type or another. Bushnell is always on the order list when it comes to getting the job done. 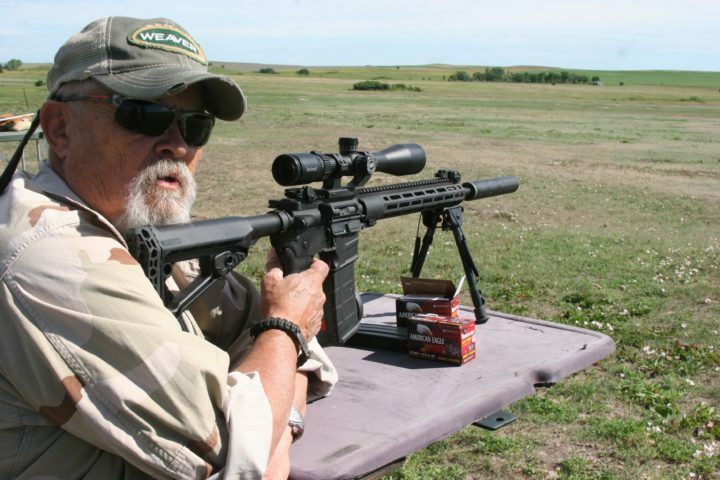 Field testing Bushnell scope on AR-15's with Federal/Bushnell in South Dakota summer heat. The oldest Banner scope I have in my general inventory has been in service for over 30 years on ARs, shotguns, and large caliber centerfires. It has shot more than most hunters will ever bring across a gun sight. This past summer the Banner series was taken into the field with Federal Cartridge. During use in 105-degree weather on the Rosebud Indian Reservation, it was subjected to heat, dust, and general abuse. I tested eleven rifles with this optic in place without a single failure. This had not been the first rodeo for the scope either. 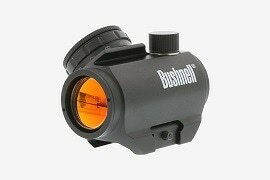 The price of Bushnell Banner-4-16X40mm varies, so check the latest price at Amazon. 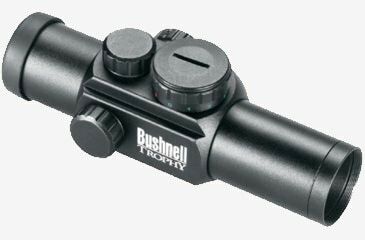 The Bushnell Trophy 1x28 Red/Green Dot scope has been in my inventory for years. I like it except this model gives a small field of view. So, it is unsuitable for hog hunting or any fast-moving targets. For example, three gun steel shooting or any fast shooting in brush country is not in the cards with this optic. This Red Dot has fully coated high contract amber bright optics and allows increased brightness when required. For example, when hunting from a blind for Whitetail this scope can become over-bright and flood out the target image. I know this situation well as it has happened to me several times. The series listed by Amazon could be an advanced model as it indicates that this scope retains a 'wide angle' viewing area. With all the recent changes at Bushnell as it has moved into a different market, anything is possible. If this were the case, it would be a good deal for sure. The price of Bushnell Trophy 1x28 varies, so check the latest price at Amazon. 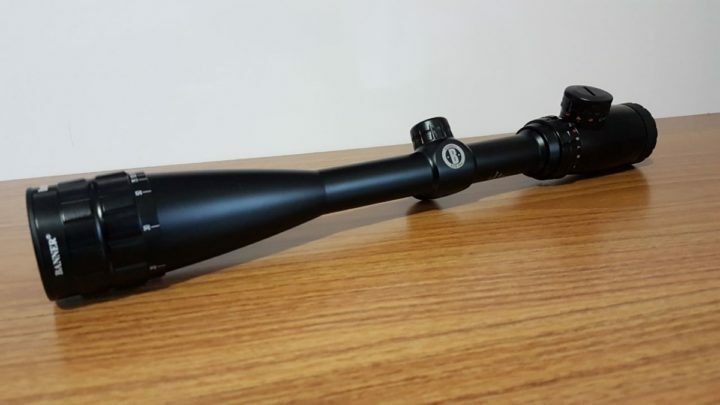 If you want to keep the price low while also retaining the ability to do the job, take a look at the Simmons 2.5-10x40 Scope. Simmons offers the ProTarget 40mm bell with WP/FPT turrets. This is a fancy name for adjustable external elevation and windage. 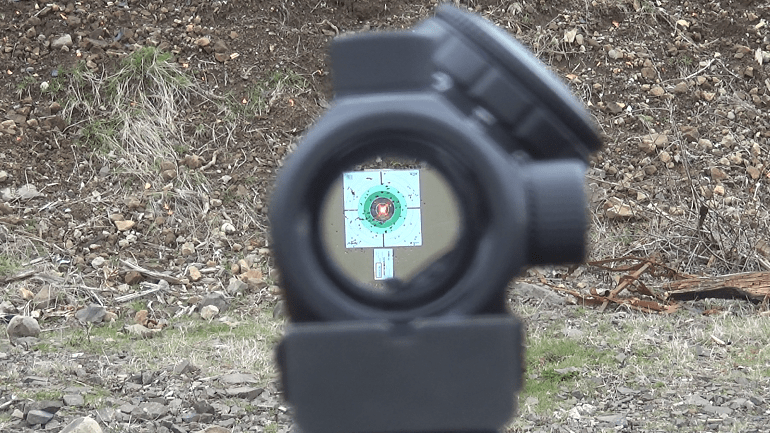 These tactical features are all required on target scopes used for competition or training. 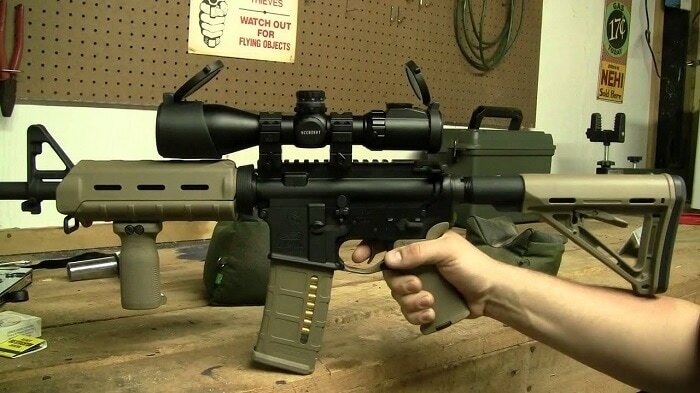 This is a great training optic for tactical AR-15 training. The size is right for the AR platform, whether flat rail or elevated mountings. The scope includes rings which allow out of the box mounting. However, in most cases, the AR-15 flat rail will require some type of elevated base system for mounting the rings. Protective scope caps offered with this scope can be flipped out of the way for quick use in training or in the field. All lens surfaces are fully coated. The scope tube is waterproof and fogproof. 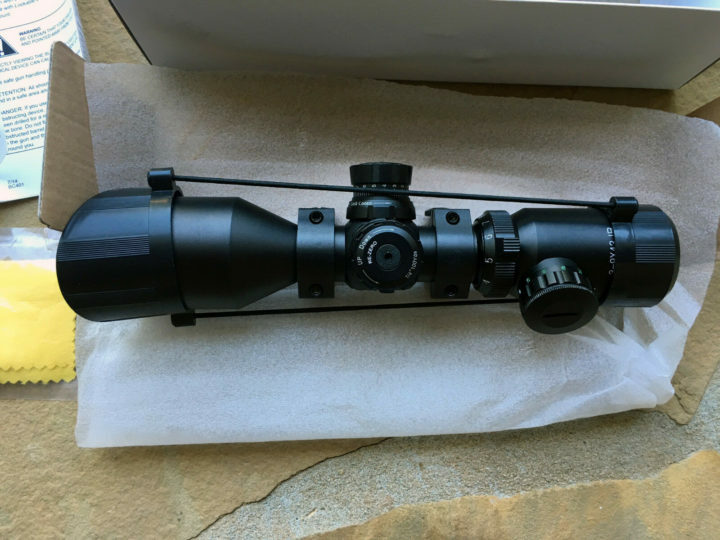 Like some previous scopes that have been reviewed in this series, I currently have five of these Simmons rifle scopes in my test and reference inventory. All of them provide good solid service. Several of them are holding down some record kills on turkeys in open country here in South Dakota along with grass rat and coyote terminating applications. The price of Simmons 2.5-10X40 varies, so check the latest price at Amazon. 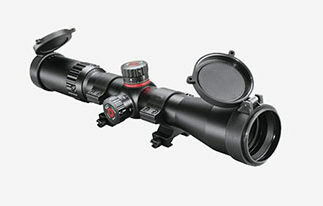 This UTG Bug Buster scope (3-9x32 1") is AR-15 designed from the guts up and carries a very high rating from shooters. The optic has a 1-inch main tube and an emerald coating on the objective lens for maximum light transmission. The turret system is external and fully adjustable for windage and elevation with ¼ m.o.a. clicks. There is a zero return feature on the turrets for making a correct base zero an easy process. This feature is useful after cranking up elevation or pulling for a full value wind down range. Sub-tensions carry a mildot reticle that allows for range finding on long-range shots. The turrets also carry an adjustable objective for three yards to infinity when clearing up a target image at any range desired. The scope retains a large field of view (no actual numbers listed) and positive eye relief as well. The scope comes with a 2-inch eyeshade and flip-open lens covers. 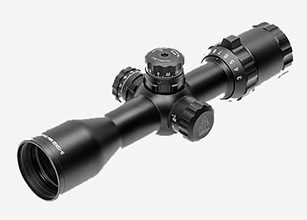 The price of UTG 3-9X32 BugBuster Scope varies, so check the latest price at Amazon. Designed as a one-piece tube constructed scope, the Barska 3-9X42 IR is a second generation sniper style AR/AK platform scope. However, be advised, this scope is 'sniper' orientated in name only. Sniper optics cost thousands, not hundreds, and for sure not under $100 and change. 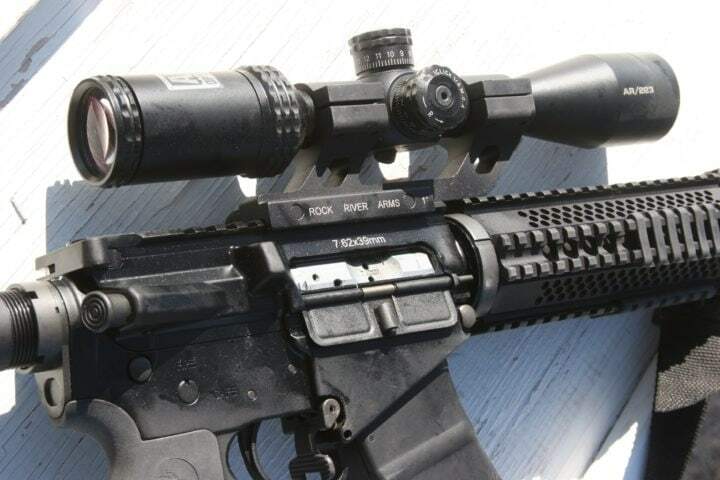 This glass sight uses a sniper-style sunshade. For that awesome feature, I give the scope builder credit. Built gas filled and totally waterproof, the sight is workable even in rough weather conditions. Being a one-piece tube construction, the scope is basically strong in terms of dealing with hard use in the field. 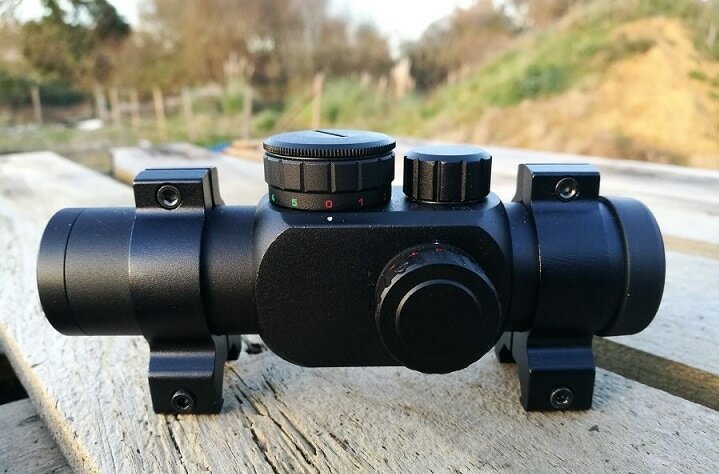 The reticle on this scope is multiple red and green and displays as a set of three mildots. This allows range finding capabilities as well as an accurate holdover for long distance shots. Windage and elevation are accomplished by the use of ¼ m.o.a. clicks. The scope's 'kit' as applied to the unit contains scope caps, cleaning cloth, and a set of ready to use rings. 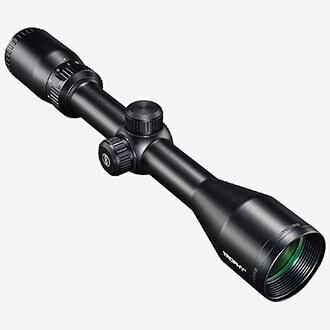 The price of BARSKA 3-9x42 IR varies, so check the latest price at Amazon. 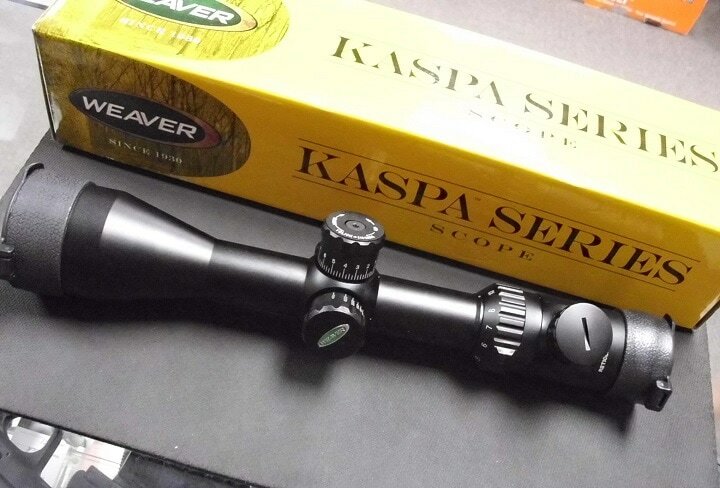 The Weaver Kaspa 3-9x40 Ballistic-X is an entry-level scope that will fit the AR-15 well. The scope is made up of closed turrets and as such is a good general purpose plinking and light-duty hunting optic. Making use of ¼ m.o.a. 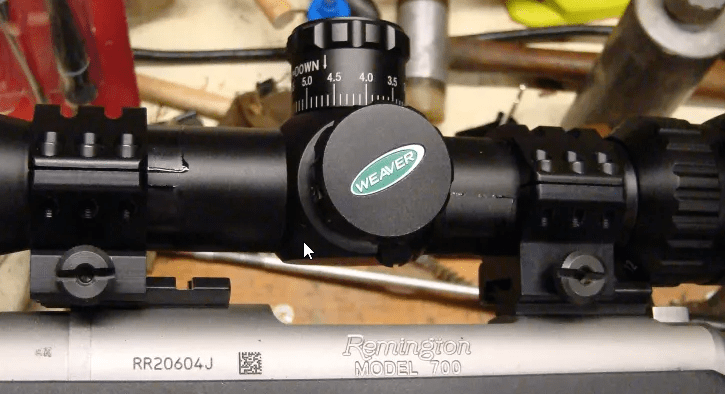 clicks for windage and elevation, the Weaver is easy to zero or make changes in sight settings. This scope is nitrogen filled, waterproof, and fogproof within certain limits. The scope is built to be shockproof within reason and retains a matte finish to reduce glint. It uses the Weaver Ballistic X reticle. 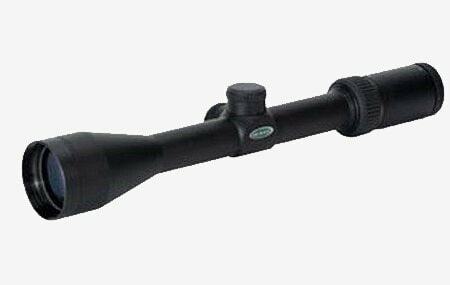 The price of Weaver Kaspa 3-9X40 Ballistic-X Scope varies, so check the latest price at Amazon. 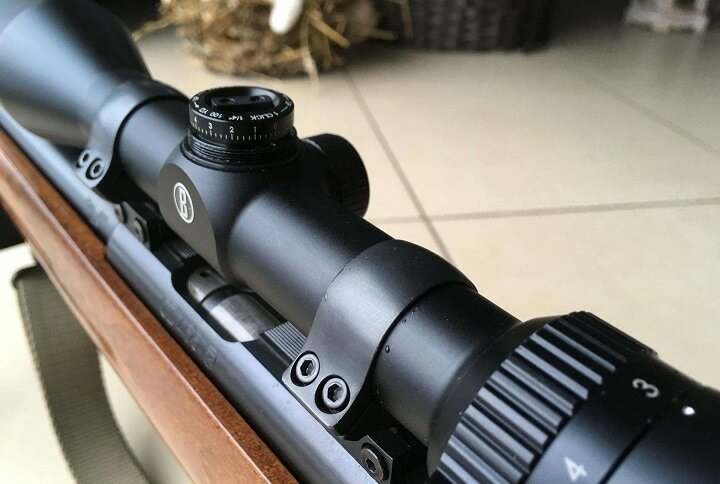 The Truglo 4x32mm Compact is a basic rimfire model riflescope. When applied to the AR-15 as a training or general purpose around the ranch tool, it can get the job done at a budget price tag. I have been running Truglo sight rifle scopes of all types for years and found them to dependable. One thing is certain, a large pile of game wishes I had been shooting something less effective. The sight has a fully-coated lens system and will provide maximum brightness for good clear target images. 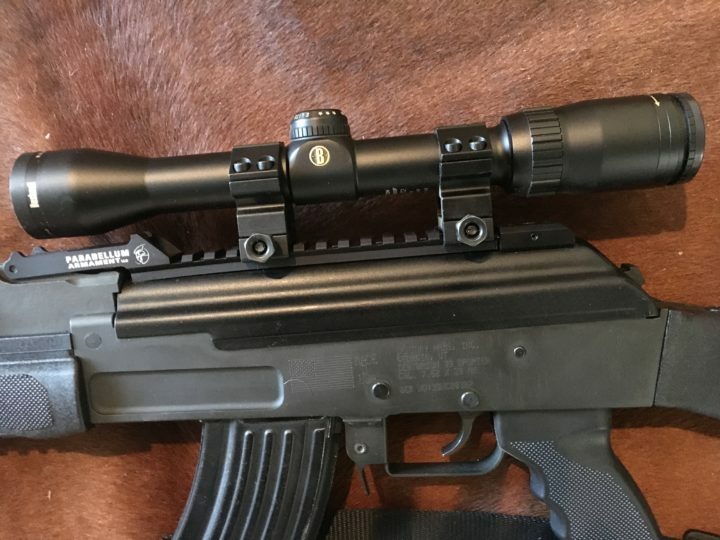 The scope makes use of a rubber eye guard for use against any possible recoil and carries a soft matte finish to keep light cast off to a low level. The model 8504BR comes with a set of mounting rings. These are for a rimfire grooved receiver mount. Standard mounting rings would need to be obtained separately. 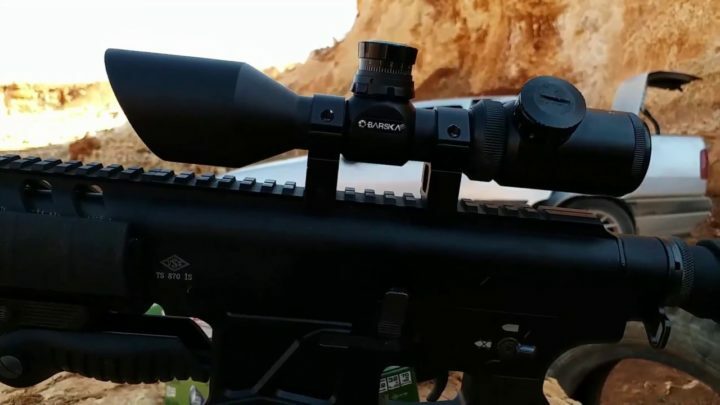 This scope makes use of a reticle with a diamond at the center. This diamond will fit into a turkey's head at 30 yards or work well for adjusting your aimpoint on a deer's vitals at a given range. This scope is a compact unit with a size of 0.5 x 0.5 x 6 inches and a total weight of 1 lb. The scope also carries a lifetime warranty. 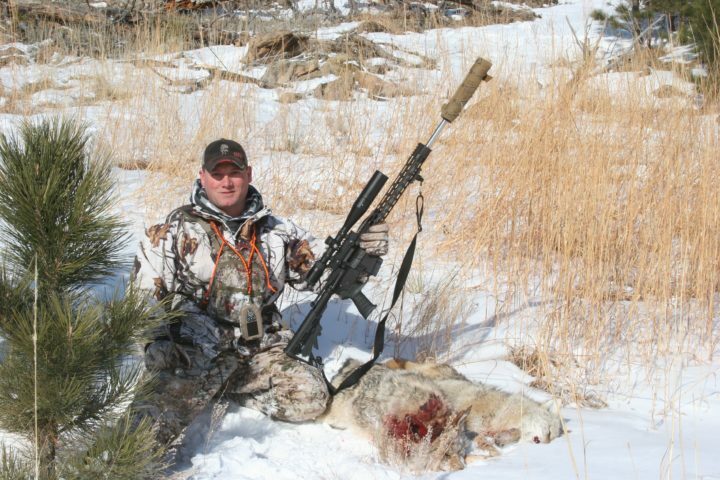 Jim Smith with Fur Quest Outdoors Black Hawk South Dakota, with my tricked out AR-15 in .224 Valkyrie. The sky is the limit as to what can be done with the AR-15. In almost all cases, you're going to get what you pay for. However, by shopping wisely and paying attention to the details you are going to have a far better chance of ending up with a rifle scope that you're pleased with in the long run. If you have time, let us know how your search for sights is working out and which was the best scope to fit your needs. If you have any questions about products, we would be pleased to assist you as much as possible. The price of TRUGLO 4x32mm Compact Rimfire varies, so check the latest price at Amazon.